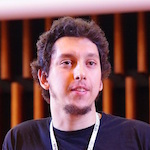 Alexandre Gazet is a senior security researcher. His interests are mainly focused on reverse engineering, software protections and dynamic binary instrumentation. Lately his research has been focused for one part on hardened binary analysis and deobfuscation using the Metasm framework and for the other part on computers low level security and embedded firmware analysis.